Memorial Day is a special day when we remember the brave people who sacrificed their lives for our country. Let’s test our memories and see if we can remember how to count, shall we? 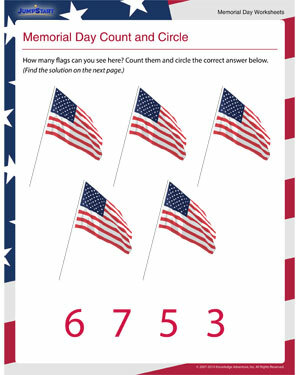 This free fun kids’ worksheet for Memorial Day is all yours. And so are these fun Memorial Day kids’ activities and printable coloring pages.